Price Chopper is a grocery store that provides a number of foods at a discounted price. Their bakery section is known far and wide for its unique selection of cakes that range from children’s cakes to wedding cakes and beyond. With Price Chopper cakes, you can get multi-tiered cakes, sheet cakes, round cakes, and more. In this article, we will discuss Price Chopper Cakes prices. We will also talk about the types of cakes you can get, the online ordering process, delivery information, contact information, and more. Price Chopper cakes come in a variety of different styles. No matter if you are setting up for a birthday, a wedding reception, baby shower, or graduation party, you are sure to find the cake that you need in their gallery. Cakes offered by Price Chopper include but are not limited to: 3D cakes from Disney, Marvel, Pixar, Nickelodeon, Sanrio, Star Wars, Super Mario, Sesame street, My Little Pony, and more; sports cakes; wedding reception and bridal shower cakes; or multiple tear cakes. You can also get cakes in a variety of colors and patterns, cakes with flowers on it, cookie cakes, baby shower cakes, and so on. The prices for these cakes range from $9.99 to $41.99, depending on the kind of cake you get, the size of the cake, and how personalized you want it to be. No matter if you are bringing a cake to a kid’s birthday party or to an adult celebration, there are plenty of Price Chopper cakes for you to choose from. For example, kids will love cakes such as the Barbie Love to Sparkle one, or the Cars 3 Ahead of the Curve cake. For adults, you might want to get a Birthday Balloons cake or a classic Happy Birthday cake. There are a number of celebration and any occasion cakes for you to choose from. You can customize these cakes for the graduate’s specific information, such as graduation year, school, and name. 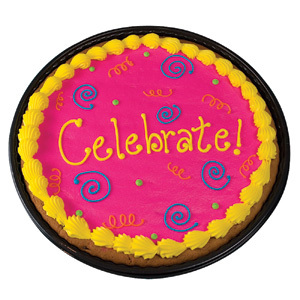 Graduation cake ideas include the Celebrate Message Cookie cake, the Festive cake, or the Streamers Message cake. 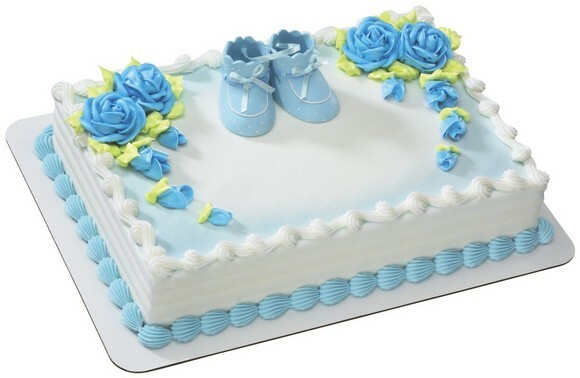 There are two selections of dedicated cakes meant for baby showers. These are for boys or for girls. You can also choose from a selection of other cakes that match the blue or pink color scheme. Pink cakes include the Pink Baby Booties and Pink Roses cake, while blue cakes include the Blue Baby Booties cake or the Round Bow and Dot Cake in blue and green. Price Chopper also offers a selection of different cakes that can be used for a wedding. These are labeled as bridal shower cakes, but they can match your wedding color scheme as well. 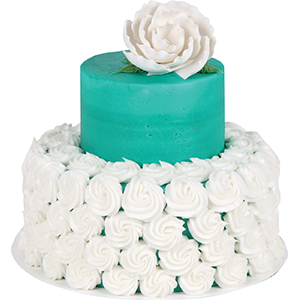 We recommend cakes such as the Tiered Celebration Cake in Peach or the Tiered Bridal Shower Cake in Teal. The Price Chopper bakery offers party trays, which can be ordered online. Price Chopper party trays contain an assortment of bakery goods, from cookies, to muffins, to biscuits. Price Chopper bakery prices vay according to the quantity you order, or in other words, how many people the tray can feed. Bakery tray prices will also vary according to the products you select to include in the tray. Some Price Chopper pafty trays, however, have a fixed design, and you can only buy more trays, instead of being able to customize the size (in other words, the number of bakery products) of your tray. On the Price Chopper website, there is a section dedicated to bakery products and treats. You can also find Price Chopper bakery products in the Breakfast and Brunch category. In this cateogory, you can see the Price Chopper offer on muffins, donuts, croissants and other bakery goods. Price Chopper cakes are available to be picked up from one of their stores. 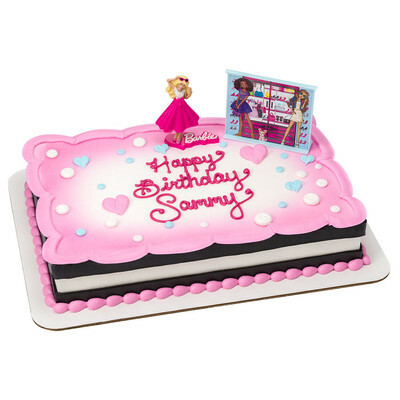 These cakes are custom made for you upon ordering, so that you can make sure they look exactly as you want them to. There is no delivery service for these cakes, but there are a number of Price Chopper locations you can order them from. This makes it easy to find the location nearest to you and go pick it up at your convenience. It is recommended that you allow at least 36 hours between the time that you order and the time that you go pick it up. In order to place a Price Chopper order online, go to their website. Find the custom cakes section and browse through the different kinds of cakes that they have to offer to find the right one for your event. Then, click on the cake. If you want to add a personalized message, now is the time to do it. Choose your filling, size, cake type, and icing type. Click “order now.” Sign into your Price Chopper account or go ahead and create one. Then, proceed to checkout. If you have any questions for Price Chopper, you can use the contact us page to get in touch with them. You can also go to the store locator page to find different stores and their contact information. Price Chopper cakes are one of the main things that Price Chopper is known for. They offer so many different kinds of cakes at an affordable price, making it so that any special occasion can be made even more memorable. Are you heading out to get your own Price Chopper cake? Have a taste and then come back to tell us what you thought of it in the comments section below.